Our center performs a broad range of outpatient surgical procedures. Our No.1 goal is to provide first-class surgical services in a safe, welcoming environment; one in which we would be happy to treat our own families. Dr. Himmelberg is the medical director of Pura Vida Med Spa. He has many years of experience in medical aesthetics, and has been one of the nation’s leaders performing endovenous laser ablation for varicose vein treatment. Advanced Radiology, the medical practice Dr. Himmelberg co-founded, has won the prestigious Angiodynamics Venacure ECVLT Award of Excellence three years in a row. He has performed over 2,000 varicose vein procedures, and he continues to lecture on this topic throughout the region. Dr. Himmelberg’s extensive medical experience, coupled with his use of state-of-the-art laser and radiofrequency ablation systems, provide his patients with access to the most safe and effective cosmetic laser treatments and laser vein surgeries, with essentially no recovery time needed. Dr. Himmelberg attended college at the University of Nebraska – Lincoln, where he was elected to the Phi Beta Kappa Honor Society. He then attended medical school and performed his radiology residency at the University of Nebraska Medical Center. Training continued at Northwestern University in Chicago, IL, where he did his fellowship in Vascular and Interventional Radiology, specializing in microinvasive procedures. Dr. Himmelberg is an invited speaker at multiple medical meetings including the Society of Interventional Radiology annual meeting and the Radiologic Society of North America. Before treatment of symptomatic varicose veins, most insurance companies require that the patient completes a trial of compression therapy. Typically, this means using prescription-strength stockings to see if this cures your varicose vein symptoms. Please contact us to determine how long compression therapy is required before treatment of your venous reflux and varicose veins will be considered a covered medical expense. In-network with Blue Cross Blue Shield. Our consultations are performed in a state of the art, tranquil wellness facility. Your consultation will provide you with an opportunity to meet Dr. Himmelberg and ask him any questions or concerns you may have about treating problem vein areas. Click here to contact us. 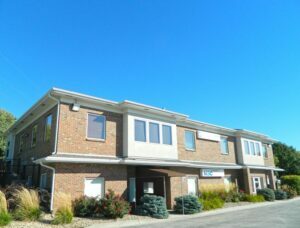 Located off 108th & Q Street, the Midwest Surgery Center provides the highest quality of care by focusing on personalized, progressive treatments. If you own or operate a wellness business: massage therapy, yoga, aesthetics, nutrition, etc. we have a beautiful space ready to go for you. Reasonable monthly rates. Call us today for a tour at 402.493.7873 and ask for Tina. In the meantime, check out our virtual tour!